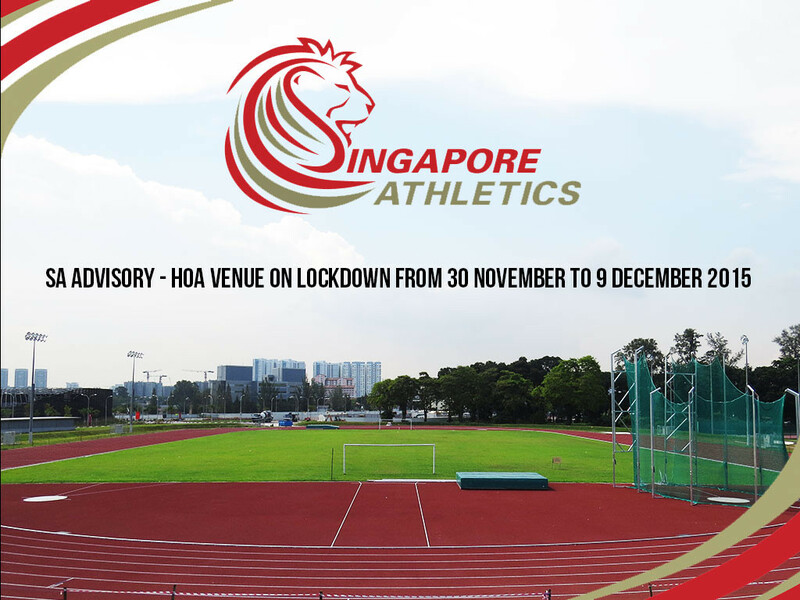 Dear users, Home of Athletics will be on lockdown starting Monday 30 November until 9th December for the ASEAN Para Games. There will be no access for the public. Please seek alternative training venues. – 30 Nov to 4 Dec, 5pm to 8pm. – 7 to 9 Dec, 5pm to 8pm.